Yes, I'm a Game of Thrones fan. 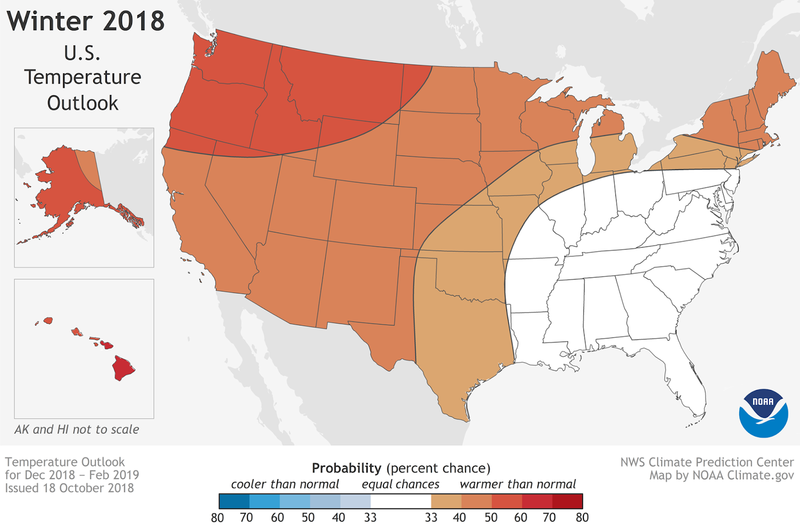 So, NOAA has put out there annual Winter Outlook forecast for the U.S. and here's the map. Notice anything? Nowhere in the U.S is forecast for cooler than normal probability. This *is* climate, not weather, and falls right in line with global warming trends. For the immediate lake area, it looks like an even chance for normal temperatures. I guess Truman Lake might squeeze into that warmer than normal probability zone? 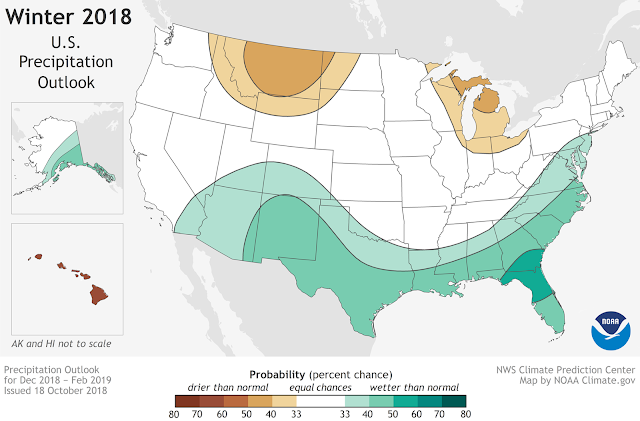 For precipitation, things again look to be solidly average. So what it is "normal" for the lake area for these months? Of course these are just averages, and as anyone who's lived in the area for any length of time will tell you, the weather can do just about anything in these months. I've been in my kayak at midnight on New Years Eve without a coat one time, and hip deep in snow another.